A worker from a financial institution in Letterkenny was assaulted during an attack in his home last night. 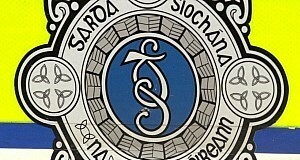 It is unclear as to the motive on the man at his home in the Buncrana area. The man was physically assaulted and needed treatment in the casualty department of Letterkenny General Hospital. It is not clear at this stage if any money was taken during the attack. A Garda source said an investigation into the mystery attack is still ongoing. “It is still unclear exactly what happened. We have yet to interview the man but there was certainly some kind of incident. “A male was taken to Letterkenny General Hospital where he received treatment for injuries. “It is unclear as to the motive for the attack and we are unsure if any cash was taken,” said the source.